We know that exercise is great for our bodies, but what about our brains? Does going for a run or picking up some weights really affect the health or strength of our brains? The answer is a resounding yes! 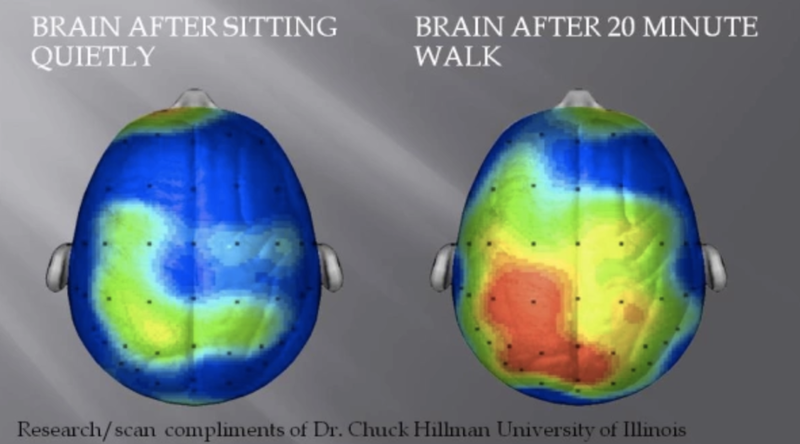 This fMRI image from a study out of University of Illinois shows a large increase in brain activity after just 20 minutes of vigorous walking. The reason you may feel 'sharper' after exercising is all the increased blood flow to the brain that results from exercise! Believe it or not, exercise can help to reduce the feelings and symptoms associated with both short- and long-term depression! In studies done with people currently suffering from depression, physical activity was show to increase feelings of hopefulness and decrease depressive symptoms. So what's the best form of exercise for our brains? The answer is everything! The best exercise routine for our brains will involve at least 20 minutes of physical activity (elevated heart rate) 4+ times a week. The key is to it up. Our brains are more challenged when we step outside of our routine, and that includes our exercise routine! If you walk everyday, try alternating walking with light weight training or even core and stretching. A balanced exercise program will include elements of cardio, weight training, balance, stretching and core. At Faithful Workouts, we try to incorporate all of those elements into our faith based exercise videos. 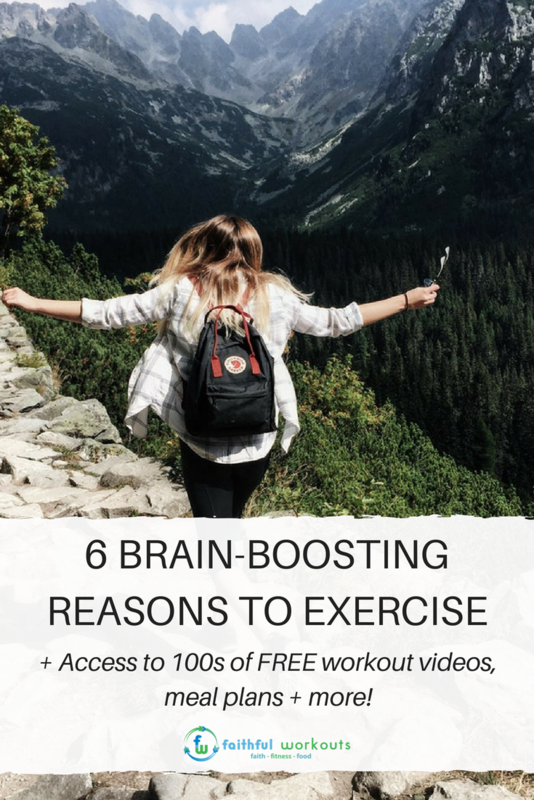 Guest post by Bree Rossi who has a masters degree in neuroscience from the University of Iowa, and loves sharing what she's learned about the brain as it relates to health and fitness. In her free time, Bree enjoys swimming, reading, eating, and hanging out with Jesus.